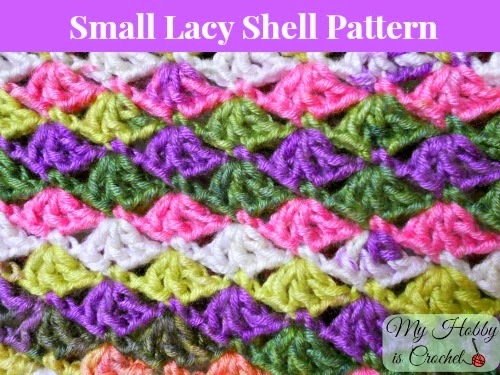 This cute little top is fun and easy to crochet. I have worked it using a self stripping yarn, but I can image it in various combinations, for example the yoke made in a solid color and the body in various colors; the sky is the limit. 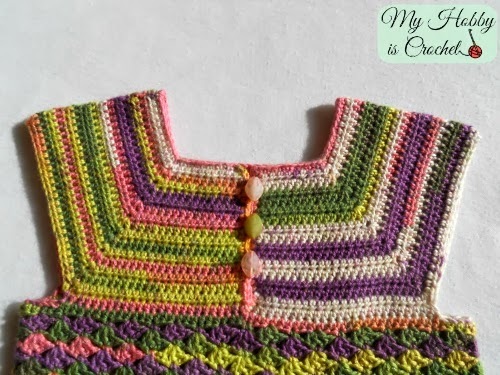 This top/ vest it is worked with a fine acrylic yarn that has the sheen and feel of mercerized cotton, it is machine washable and dryable. 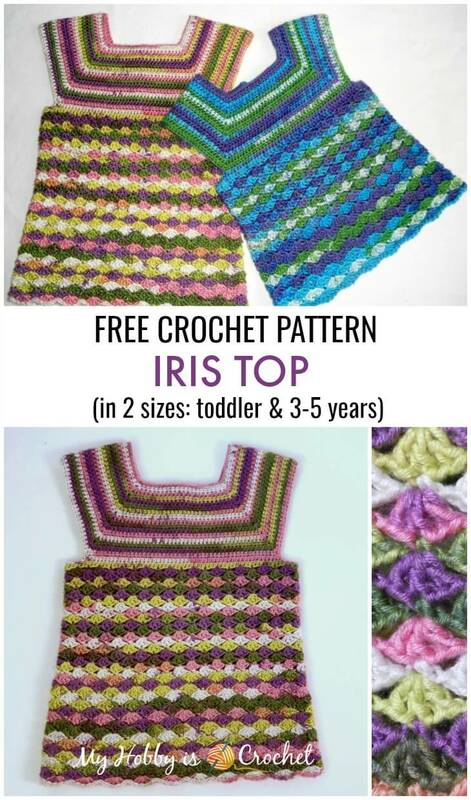 A toddler size of this pattern can be found here:Iris Toddler Top (size 18 months-2 years). -3 skeins of Deborah Norville Serenity Garden yarn, color Mountain Heather (yarn weight: fine 2). The top is crocheted top down, beginning at the middle front. The split should be mid front. The yoke is worked in rows, turning the piece after each row. The body part is worked in rounds. Working into the back bump of the foundation chain will give the edge a nice, finished look. Start with 83 chain stitches worked with relaxed tension. You will have: 25 sts left front side, 9 chains left underarm, 52 back, 9 chains right underarm, 25 right front side. Rounds 24-37: repeat as rounds 22-23. Add more rounds if you want a longer top. ch1, work *1sl st into the top of next st, 1ch*, repeat from * to * around. Cut yarn. Fasten off invisibly. Join yarn with sl st into the top left hand corner of the split mid front and continue down along split with 1sc around the bar of the first hdc of each row, 1 sc dec at the V base of the split, *work 1 sc in each of the next 4 sts, chain 4 (or as many chains needed to fit your button size)* repeat from * to * 3 times for 3 buttons, continue with sc till the top. Cut yarn. Fasten off. If you like, you can work a round of sc around the sleeves. 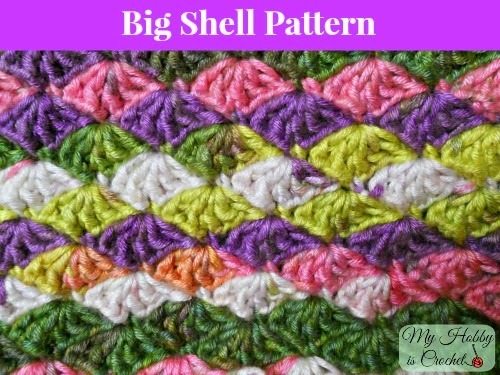 I would love to see your projects made using this pattern! 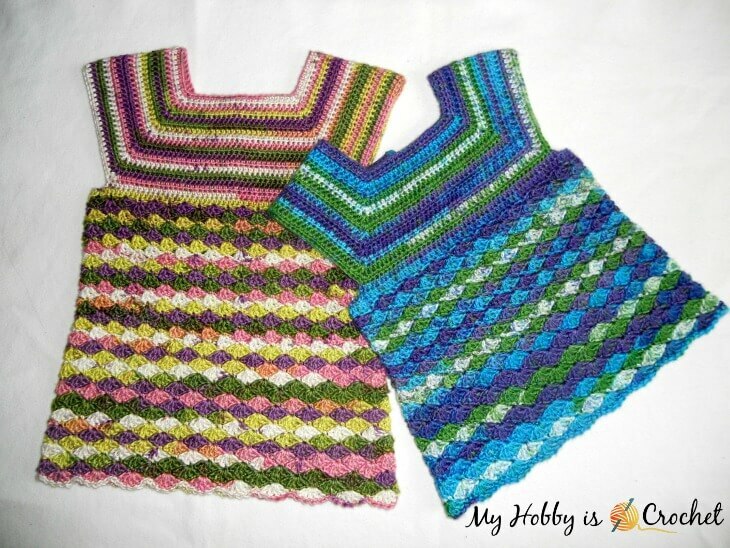 Please upload your pictures to my Facebook Page Myhobbyiscrochet! Thank you!